Lynn Louise Wonders, LPC, RPT-S, CPCS is a Registered Play Therapist-Supervisor, licensed and certified in the state of Georgia to provide professional counseling and supervision services. She is the Director of Wonders Counseling Services, LLC based in metro Atlanta, Georgia, providing consultation and mentoring services for therapists throughout the United States, in Israel, Ireland, South Korea and Australia. Ms. Wonders is the founder of the Preschool Emotion Education Program (PEEP) implemented in preschool settings since 2003 to provide young children, teachers and parents with experiential education and support to facilitate mindfulness and emotional intelligence. She is the founder of Parenting with Purpose and Vision Seminar Series, and a trained facilitator of Dr. John Gottman’s parenting program Raising an Emotionally Intelligent Child. Ms. Wonders is an Association for Play Therapy Approved Provider and has been providing play therapy training and continuing education for therapists in person and online since 2011. 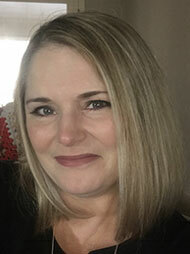 She is the Early Childhood Specialist and National Spokesperson for Primrose Schools having authored hundreds of articles on early childhood development and parenting. She he has been a guest instructor for the psychology department at Berry College in Rome, Georgia and for the mental health departments at Grady Hospital, Peachford Hospital and Mercy Care in Atlanta. Ms. Wonders is also the Director of Wonders Wellness Institute for Women where she offers self-care retreats and provides consultation and education for women on the subject of sustaining a healthy holistic lifestyle with over 20 years of experience teaching meditation, mindfulness and gentle forms of yoga and Tai Chi & Chi Kung. Ms. 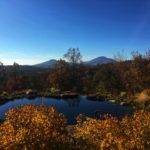 Wonders has led self-care retreats for women in the North Georgia mountains since 2011. You can learn more about her services at www.WondersCounseling.com and www.WondersWellness.com.